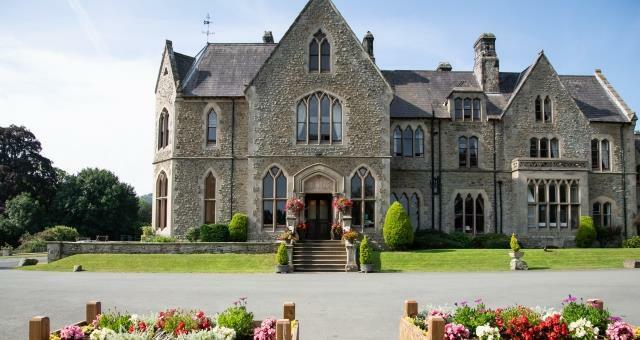 Mellington Hall Holiday Home Park01588 620056work Holiday Home ParkMellington Hall Country House Hotel is a Grade II Listed 19th Century house set in beautiful landscaped grounds with spectacular views in every direction. 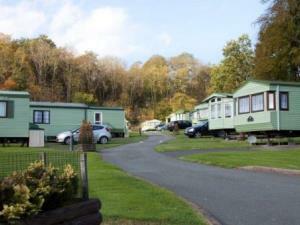 The Holiday Home Park with 150 units is set in these grounds. Offa’s Dyke Footpath passes through...there are woodland walks...ponds and streams...and wonderful countryside all around. You could easily come to Mellington and never leave, it is so tranquil. The beautiful setting provides a rural retreat which is a mile from the nearest main road and set in beautiful mid-Wales countryside. Some of the lodges come up for sale from time to time. There are full time managers living on site. There’s scope for all kinds of activities including cycling, coarse fishing, and walking. Or you can simply relax and enjoy the peace and quiet and the abundant wildlife here at Mellington where ducks, swans and geese swim on the pool, rabbits run freely and woodpeckers do their rounds of the trees. Kingfishers can also be spotted flitting between the trees and over the pools, so bring some binoculars! Mellington Hall Country House Hotel is a Grade II Listed 19th Century house set in beautiful landscaped grounds with spectacular views in every direction. The Holiday Home Park with 150 units is set in these grounds. Offa’s Dyke Footpath passes through...there are woodland walks...ponds and streams...and wonderful countryside all around.